NEXT GIG: 29 July 2018 at Elsternwick park sports club! Jane and her band (Agus Batara-keys, George Borthwick-bass, Sebastien Jego-drums) blend folk, blues and jazz influences to create a sound that is as captivating as it is hard to categorise. Her songs are rich in narrative, building characters and stories that are both familiar and fresh, humorous and heart-breaking. As a solo artist, Jane supported celebrated cigar box guitarist Justin Johnson (USA) as part of his Smoke and Mirrors world tour and has performed numerous times at almost every major ukulele festival in Australia (Melbourne/Cairns/Blue Mountains/SPRUKE!/Newcastle) as well as at the Recycled Roots Festival in Bendigo. 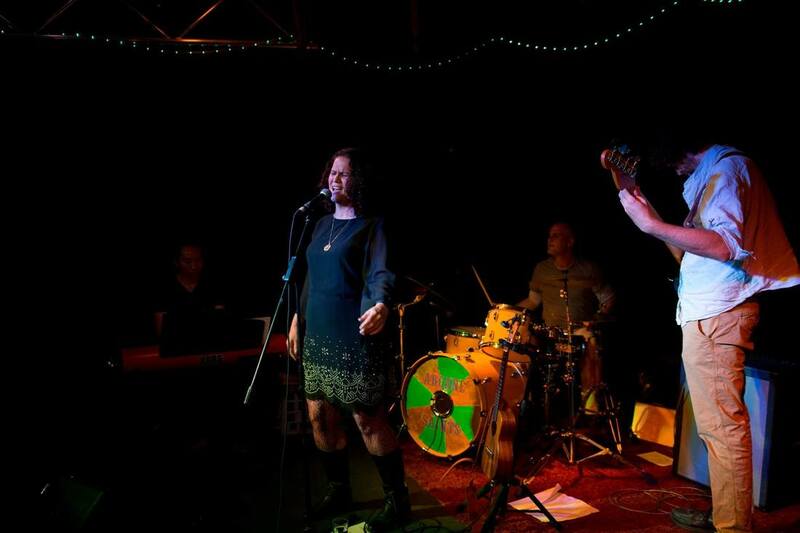 She has also performed as part of the Round in Brisbane, and in the Unpaved Songwriter Sessions and Melting Pot's Songwriters in the Round in Melbourne. In August 2015, Jane and her band launched her debut album, The Mercy of the Tide which featured a wider palette of instrumentation courtesy of some extremely talented musicians - Julian Swinnerton (cello), Xani Kolac (violin), Ingrid Homburg (violin), Andrew McClean (harmonica), Matthew Alford (guitar), Nick Evangelou (slide & weissenborn), Chris Weber (trumpet) and Greg Steps (backing vocals). This was followed with a successful tour of The Mercy of the Tide through the Eastern states of Australia in 2016. The addition of Agus Batara to the band on keys in 2018 has marked the next stage in the evolution of Jane's music towards jazz fusion.